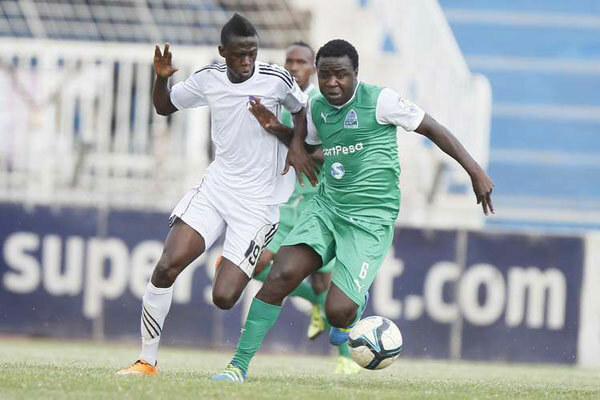 Gor Mahia were on fire edging out struggling Nairobi City Stars 3-0 in a mid-week Kenyan Premier League match played at City Stadium on Wednesday. Goals by Ali ‘Teargas’ Abondo and Michael Olunga in the first half were proof of Gor Mahia’s dominance. Abondo banged home the opener with his trade mark shot in the sixth minute. Olunga had to wait until injury time to score the second. The lanky striker made a long run from the right flank and ended with the ball past ?Ronnie Kagunzi in goal. Gor Mahia started strongly as Michael Olunga’s header hit the City Stars post in the first minute. Then a subdued City Stars’ side were forced to make an early substitution when ?Eporima Sanneh was carried off the pitch after sustaining an injury on his head. His place was taken by Peter Musine. 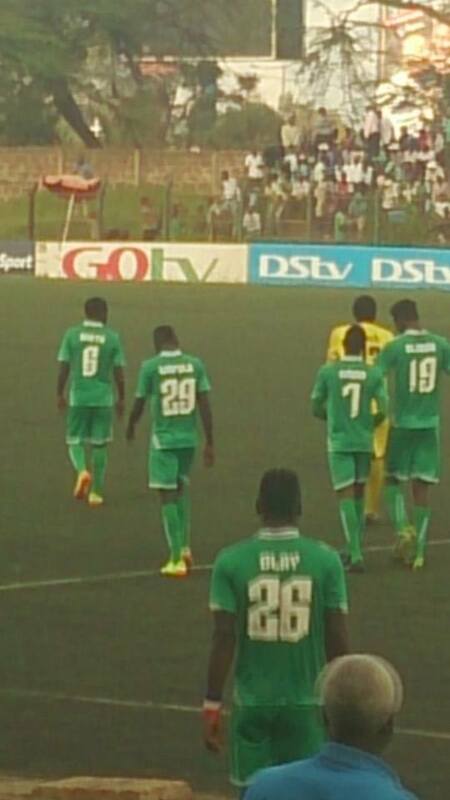 ?After that, Gor Mahia kept up the pressure and launched attacks from the flanks. In the 22nd minute, Ronald Otieno’s goal bound free-kick was kept out by Ronnie Kagunzi with Gor Mahia earning first corner of the match. One minute later, Ali Abondo coming in from the left flank, opted to go for goal instead, of passing the ball to Mousa Kagere. The resultant shot was blocked by Kagunzi. In the 25th minute, City Stars had their first chance to go ahead but Bruno Sserunkuma’s effort went just wide. Seven minutes later Osca Mbugu’s effort should have counted had his dipping shot beat Boniface Oluoch. Oluoch was forced to make a finger tip save and with it gave City Stars their first corner of the match. At this point Imwene Celestine from City Stars was cautioned but it still did not deter ?Bruno Sserunkuma from making another effort. This time he beat Musa Mohammed but his shot was not powerful enough to count. After that lost chance, City Stars paid dearly when Olunga scored Gor Mahia’s second goal and the Kawangware-based side will blame themselves for not covering their back well. The second half was a well balanced affair. City Stars were the keener side to get an equaliser and kept Boniface Oluoch busy. Gor Mahia too did not give up their quest for a third making it an action packed half. But it was still Gor Mahia, who were the better side running rings around City Stars backline. From one such move ?Innocent Wafula scored the third goal in the 70th minute. After that goal, Gor Mahia rested Michael Olunga for George ‘Blackberry’ Odhiambo and with it got a few more chances.